This doll is defaulted to come with M size bust and super high heel legs . Only tan skin is available for this doll. This doll defaults to come with A/C/O/T hands, please contact us if you want to change the hand or you want to add other hands. 1.This doll body size is a speicial one,there isn't suitable clothes in our shop now. 2.The doll will be carefully assembled and nicely polished before shipping. 3.For your reference, the model in the picture is tan skin. 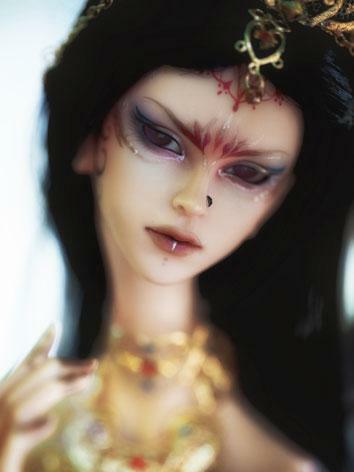 4.All the dolls and parts are hand made, we tried to make them look as perfect as possible.